A new software system helps robots to more effectively act on instructions from people, who by nature give commands that range from simple and straightforward to those that are more complex and imply a myriad of subtasks. PROVIDENCE, R.I. [Brown University] — A new system based on research by Brown University computer scientists makes robots better at following spoken instructions, no matter how abstract or specific those instructions may be. The development, which was presented this week at the Robotics: Science and Systems 2017 conference in Boston, is a step toward robots that are able to more seamlessly communicate with human collaborators. For example, imagine someone in a warehouse working side-by-side with a robotic forklift. The person might say to the robotic partner, “Grab that pallet.” That’s a highly abstract command that implies a number of smaller sub-steps — lining up the lift, putting the forks underneath and hoisting it up. However, other common commands might be more fine-grained, involving only a single action: “Tilt the forks back a little,” for example. The virtual Cleanup World provided a training ground for the new language grounding software. To develop their new model, the researchers used Mechanical Turk, Amazon’s crowdsourcing marketplace, and a virtual task domain called Cleanup World. 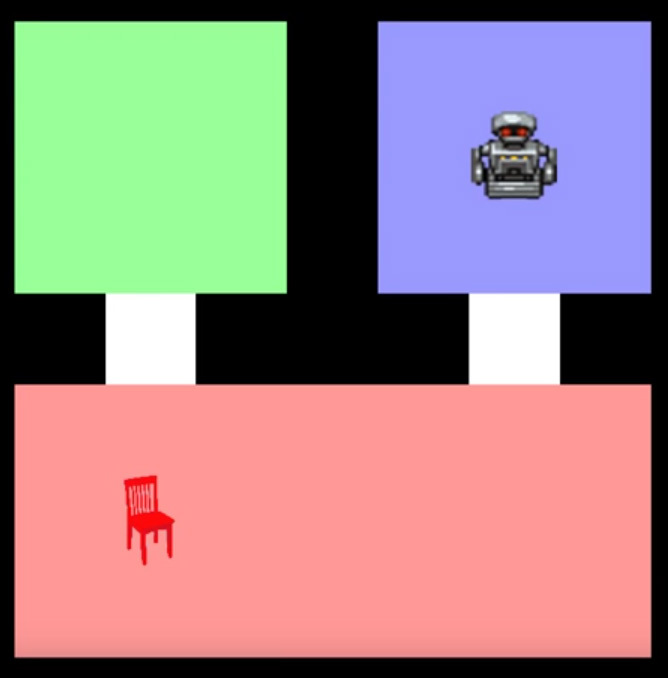 The online domain consists of a few color-coded rooms, a robotic agent and an object that can be manipulated — in this case, a chair that can be moved from room to room. Mechanical Turk volunteers watched the robot agent perform a task in the Cleanup World domain — for example, moving the chair from a red room to an adjacent blue room. Then the volunteers were asked to say what instructions they would have given the robot to get it to perform the task they just watched. The volunteers were given guidance as to the level of specificity their directions should have. The instructions ranged from the high-level: “Take the chair to the blue room” to the stepwise-level: “Take five steps north, turn right, take two more steps, get the chair, turn left, turn left, take five steps south.” A third level of abstraction used terminology somewhere in between those two. The researchers used the volunteers’ spoken instructions to train their system to understand what kinds of words are used in each level of abstraction. From there, the system learned to infer not only a desired action, but also the abstraction level of the command. Knowing both of those things, the system could then trigger its hierarchical planning algorithm to solve the task from the appropriate level.